._________ _____ ____/ /__   _____   __\ \____ _____ ________.
! ____________  \            |            /___________     . __/            \_ \           |           /            \    !
. \     \       /       /      :         /      \          / .
! \_______/    \           /     \___________/     ! |          /     |___\_    __       \_______     \_           /_. 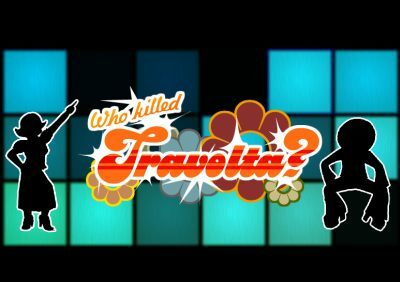 |                    WHO KILLED TRAVOLTA? \! /     Hannu ..................... producer, gfx              ! /|     Maraia .................... story, character gfx       .
. /_//__//___ //___    ___\\ ___\\__\\_\ .